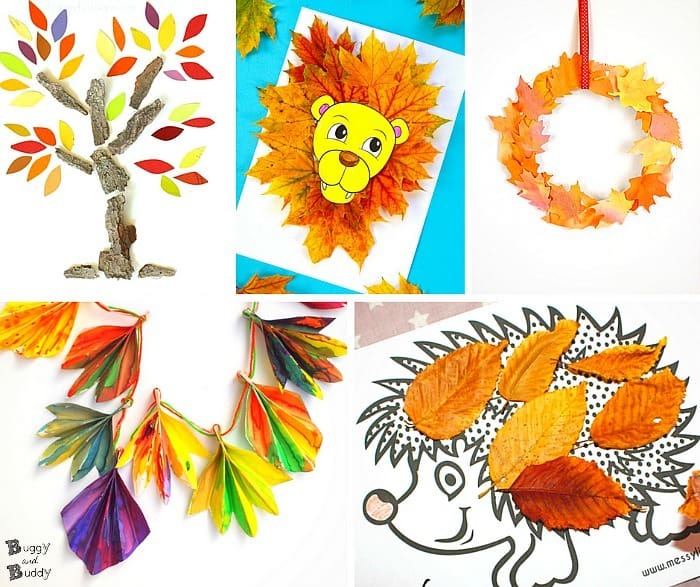 Check out over 20 fun and inspiring fall leaf crafts for kids in our newest collection! 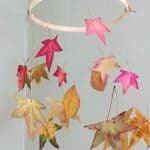 You’ll find all kinds of ways to use real fall leaves to create, as well as ways to make your own projects resembling fall leaves. 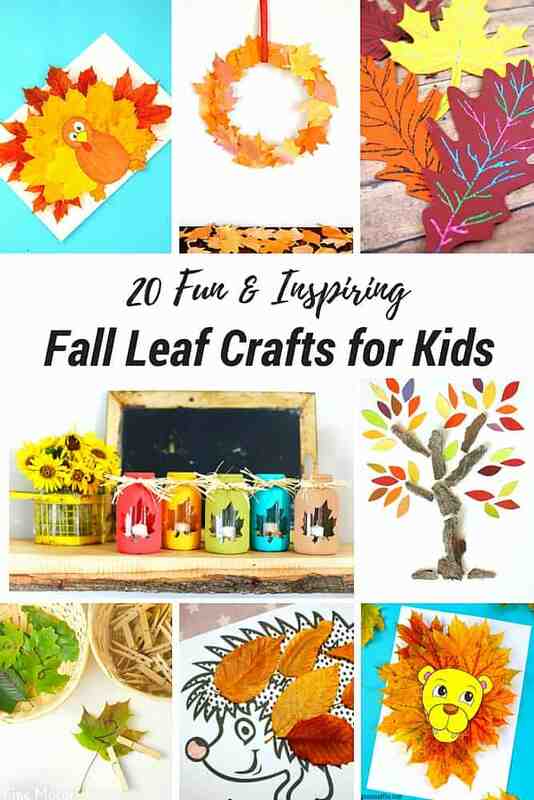 Also be sure to check out our favorite fall books for kids to accompany many of the activities in the fall leaf roundup below. 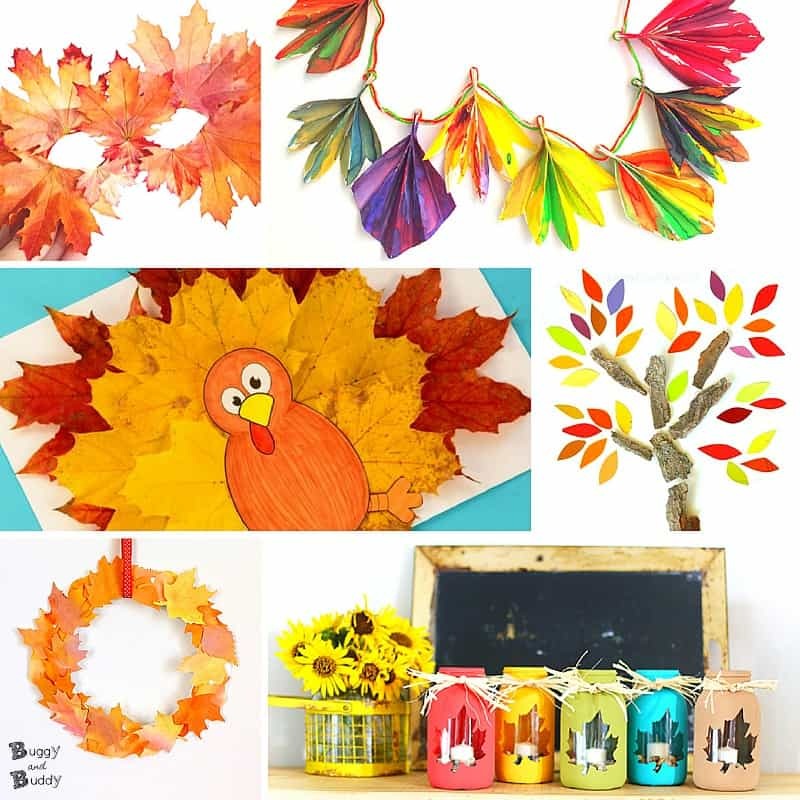 Follow our Fall Crafts and Activities Pinterest board for even more ideas! 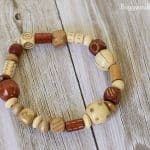 We’re about to enter one of my favorite seasons…fall! 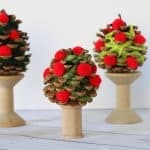 It’s one of the most beautiful seasons in my opinion, and I get so excited as it nears every year. 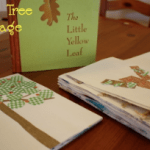 I absolutely love the colors of the season and the kids and I are always inspired to create as soon as we see those autumn colored leaves forming in the trees and falling to the ground. 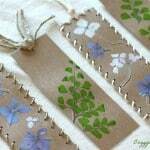 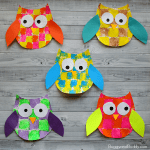 We can’t resist collecting them and creating all kinds of fun projects! 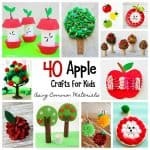 Because fall is so close, I really wanted to share some of our favorite fall crafts for kids that are sure to inspire you, your kids and your students. 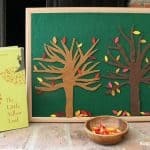 You’ll find crafts and activities for all ages like ways to preserve fall leaves, how to create animals using leaves, and making collage art projects.